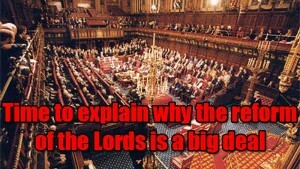 Stirring Trouble Internationally: Yes, Sure, Ripping Apart The House Of Lords That Existed For Centuries Is No Big Deal! Yes, Sure, Ripping Apart The House Of Lords That Existed For Centuries Is No Big Deal! How is it that ripping apart the House of Lordsthat has existed for centuries is no big deal?